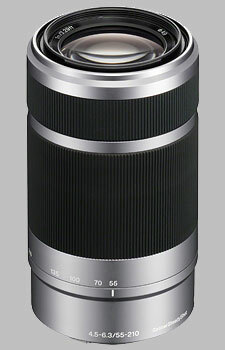 (From Sony lens literature) Slim telephoto zoom lens weighing only 345g that makes an ideal complement to SEL1855. With outstanding optical performance over the entire zoom range, this lens is an excellent choice for portraits, sports and nature photography. Decent build and image quality. So I deliberated a bit to add my 2 cents to the fray. I chimed in because no one mentioned slow autofocus speed with this lens. Like others stated this zoom lens can be a steal - if you get it for less than $200. It produces decent image quality. However, it does have a relatively shallow depth of field when zoomed in, so keep that in mind. On my A6300 the autofocus is painfully slow compared to the other lens I tried, including the 'el chipo' 16-50 bundled lens, the SEL 28F20 prime, and the SEL1670Z (the Zeiss co-branded zoom, which itself isn't the fastest autofocus lens either). I found an open-box on eBay from a major East Coast camera store for about $140, and after redeeming by eBay bucks I ended up paying much less than one hundred greenbacks so I have no regrets. But I wanted to pont out the autofocus speed because it clearly disqualifies this lens from any fast-action photography. I tested against my Tamron 18-200 mm NEX - which was sharper at 200 mm, had better AF and feels much more solid. Reasonable price, much smaller and ligher then 18-200. image quality is on par with some prime lens. Well built too, much better the some Sony A-mount DT lens. I bought this for detail architectural shots and keeping distance from my subjects. Very sharp in the middle less in the corners but still very good. Color and contrast is about as good as on the 50 1.8 OSS which is great. Mechanical it has a real high end feel while keeping the weight low. It is a telezoom and therefore relatively LONG especially on a NEX body. It does keep it`s balance well on a NEX 7. The OSS of this lens is as good as it gets and comparible to expensive IS lenses from canon. Note that this lens costs less as a whole than the IS upgrade on most canon lenses, about halve actually. That makes it a steal. It has a slow aperture starting at 4.5 and going to 6.3 at the long end. It doesn`t give you much bokeh to look at. The bokeh is nothing special but not bad. It`s a very good lens at an incredible price. Buy it!